Adopted on September 26, 1863. The Great Seal of the State of West Virginia was adopted in September 1863. The center of the seal contains a boulder that has been inscribed June 20, 1863, the date West Virginia became a state. In front of the boulder lie two crossed rifles and a liberty cap to state the state's importance of fighting for liberty. The two men on either side of the boulder represent agriculture and industry. On the left stands a farmer with an ax and plow before a cornstalk. On the other side stands a miner with a pickax, and behind him an anvil and sledge hammer. 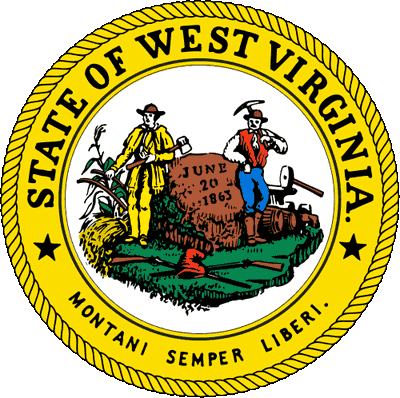 The outer ring contains the text "State of West Virginia" and the state's motto "Montani Semper Liberi", ("Mountaineers are Always Free"; the state nickname is "the Mountain State"). There is also a reverse of the seal, and a variant of it is the official seal of the Governor. The official seal of the state of West Virginia has remained unchanged since it was first adopted in 1863. The Great Seal of West Virginia, which is also the Coat of Arms, was adopted by the Legislature on September 26, 1863. 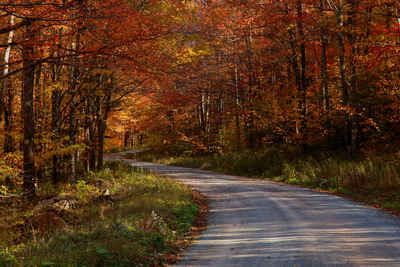 It symbolizes the principal pursuits and resources of West Virginia. 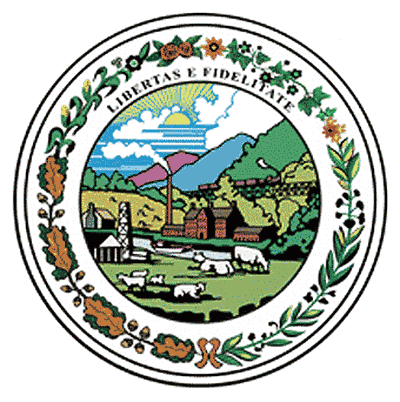 Described briefly, the Seal bears the legend, "State of West Virginia", together with the motto, "Montani Semper Liberi" (Mountaineers Are Always Free); a farmer stands to the right and a miner to the left of a large ivy-draped rock bearing the date of the State's admission to the Union. In front of the rock are two hunters' rifles upon which rests a Phrygian Cap, or "Cap of Liberty". Joseph H. Diss Debar of Doddridge County designed the State Seal in 1863 at the request of the first West Virginia Legislature. The state military crest, which is the crest used in the coats of arms of units of the National Guard, as granted by the precursor organizations of what is now the Army Institute of Heraldry. The official Institute of Heraldry blazon is "A slip of mountain rhododendron in full bloom and leaved proper." 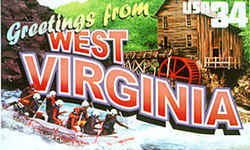 West Virginia's state motto comes from the Latin phrase: Montani Semper Liberi which means "Mountaineers are always free". 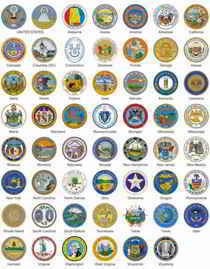 It was proposed by Joseph H. DisDebar who also designed the state seal. The motto is found at the bottom of the state seal. West Virginia Constitution, Article 2, Section 2-7. 2-7. 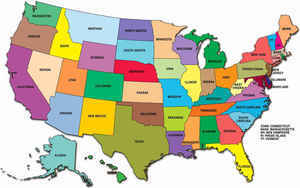 "Montani Semper Liberi" - State seal. The present seal of the state, with its motto, "Montani Semper Liberi," shall be the great seal of the state of West Virginia, and shall be kept by the secretary of state, to be used by him officially, as directed by law.